A huge apple, probably the largest apple ever grown in the United States, according to Calhoun (1995). Some apples commonly reach a pound or a pound-and-a-half. The origin of this variety is somewhat unclear. Some sources say it may have first been grown before 1800 on the farm of Mr. Crooks of Red Hook, NY. 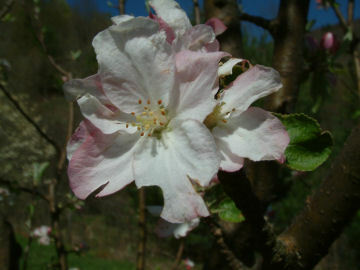 Other sources say the apple arose on Long Island, NY while some references state that this is the same apple as Baltimore Monstrous Pippin which originated in 1780 in Baltimore, MD. Although it is not considered a good fresh-eating apple, it is a fine cooking variety. The fruit is large to very large and roundish in shape although the sides are often unequal. It has greenish-yellow skin with a faint, bronze blush. 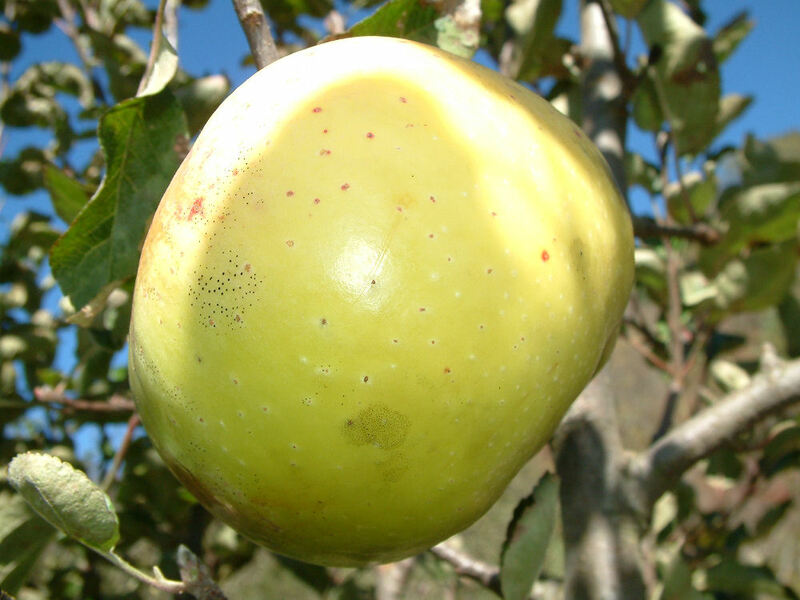 The greenish-yellow flesh is coarse, moderately crisp and quite acid, becoming mellower when fully ripe. Ripens late September to early October. Gloria mundy tree or Scion , where can I find ?